472. Grimshaw’s compressed air hammer. 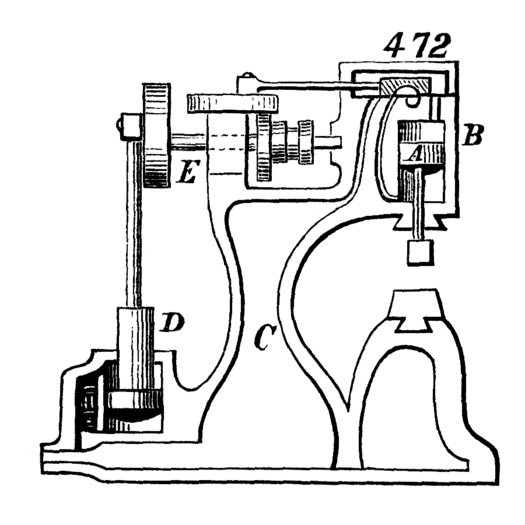 The head of this hammer is attached to a piston, A, which works in a cylinder, B, into which air is admitted—like steam to a steam engine—above and below the piston by a slide-valve on top. The air is received from a reservoir, C, in the framing, supplied by an air pump, D, driven by a crank on the rotary driving-shaft, E.